The most important job of gutters is directing rain and debris away from your roof and off of your home. Gutters also direct the water to the ground from 1-store, 2-store and other roof lines. When quickly inspecting your gutters check to see if they are pulling away from your roof, sagging, show rust, or water running over the back or front of the gutters from debris or blockage. Some issues can easily be fixed, but consider gutter replacement–give us a call for a free estimate. Some gutters issues can be easily repaired for very little money. If your gutters are gapped from the roof-line, the gutters themselves may not be the issue but the support system such as the nails. However, if the gutters have pulled away from the roof-line and have funneled rain where it should not go the support system such as the trusses may be rotten or unable to support the gutter nails holding up the gutters. Other issues can be bent, warped or sagging, repairs may not be a cost effective solution. You may be surprised at the effective cost of replacement versus repair. Repairs may be temporary—thus a full replacement would be a the best choice. Most older gutters systems were built from galvanized steel which is prone to rust, discoloration and can disintegrate from wear. 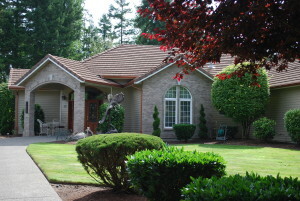 Newer gutters system, especially continuous gutters are made of aluminum, which when well maintained, can last forever. Therefore, while your initial upfront costs may be more, investing in a full gutter replacement with a set of aluminum gutters will cut down on your repair bills over the lifetime of the house. Nothing is completely maintenance free; with aluminum gutters–checking for debris clog, water flow and the support structure (roof-line, flashing, joints, and trusses) are in good condition to make sure the aluminum gutters last for a long-time. Have your gutters cleaned and inspected at least annually to make sure they stay in good condition, and remember to get any repairs or replacements done in a timely manner to maintain your investment. To keep the water away, your quality gutter systems and roof is your first line of defense. Give CR Gutters, Inc. a call for all of your gutters and sheet metal needs. We are a 30-year old company, family oriented and our number one goal is your satisfaction.